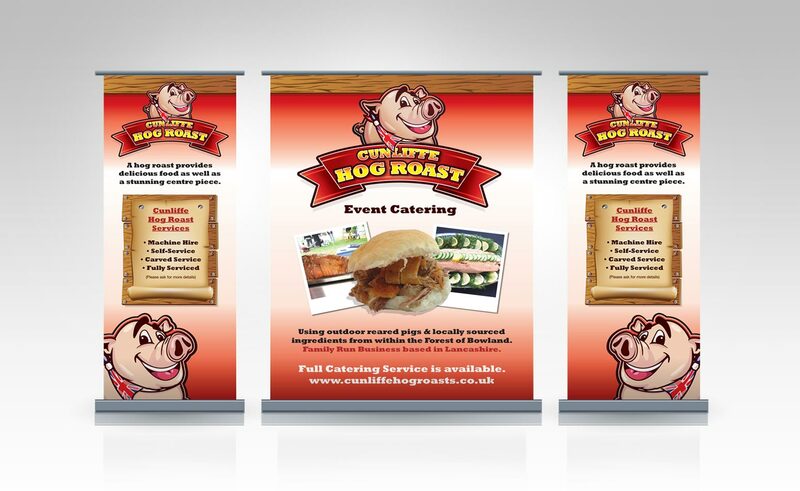 Cunliffe Hog Roast came to us as a brand new company that needed help setting up their initial marketing activities. They are a Lancashire-based business in the catering industry, providing hog roasts at weddings, parties etc and also offer a full catering service alongside this. They breed their own pigs to ensure their meats are top quality, providing customers with a unique hog roast experience. As a new start-up, getting the brand right from day one is key to the success of any business. Your brand is the one thing that a customer remembers you by. It was important that we promoted the fact that their pigs were UK-bred and not imported like some of their competition. The logo was designed to showcase a friendly and approachable business in the catering industry. This was achieved by designing a simple but striking logo that would be instantly recognisable on any marketing literature. The pig wears a union jack neckerchief, highlighting the fact that their animals are all UK-bred. Several different promotional items were produced to help with brand awareness and to get the company noticed wherever possible, nationally. 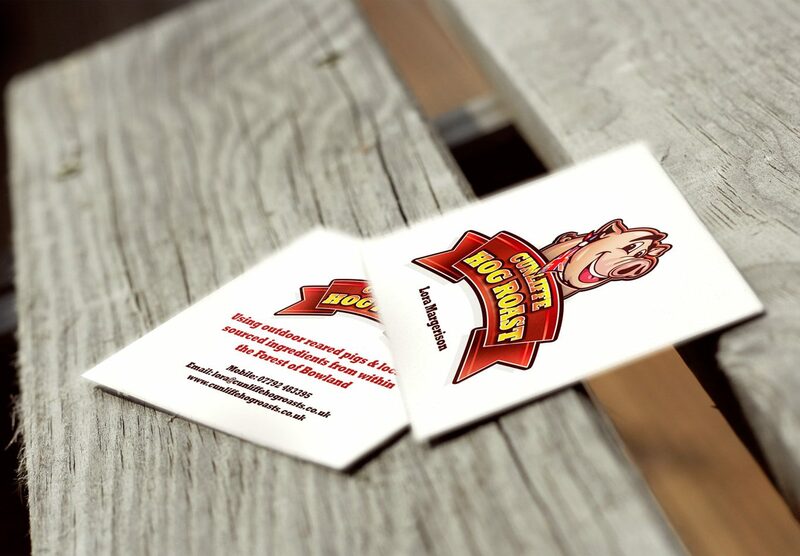 Beer mats were just one of the products that were printed and used at all catering events that Cunliffe Hog Roast attended. Below is a range of pull up exhibition stands that were produced for the company to take with them at indoor events. The banners were designed to provide information about the company and the services offered, all helping with brand awareness and a successful business. 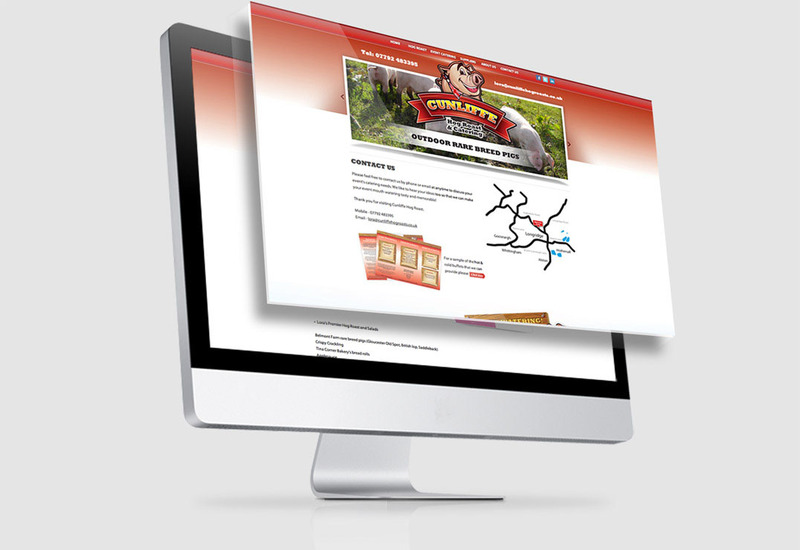 A website was required to allow all the different aspects of the business to be showcased effectively to potential new customers. This was done by breaking the business down into three sections; catering, hog roast and the farm and location. A key message that we had to promote throughout the site was the fact that their catering service consisted of local produce, where possible that went through a rigorous quality control procedure. 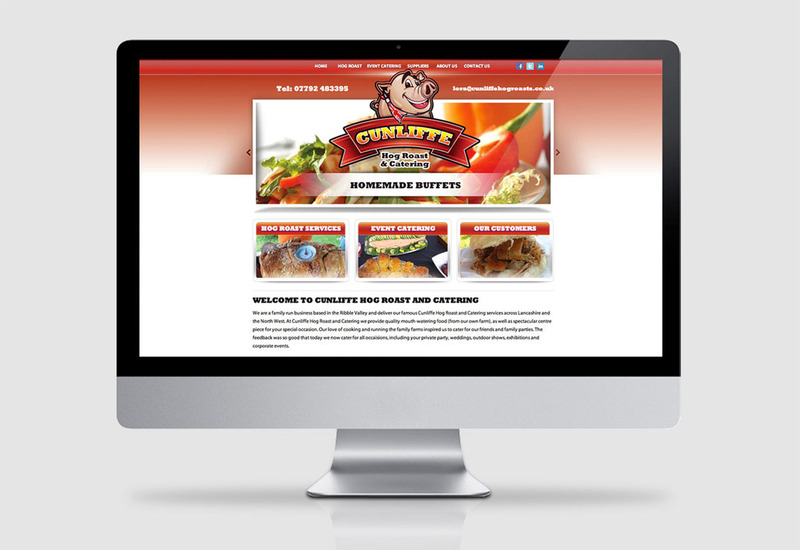 As a local farm, family values are very important to Cunliffe Hog Roast and it was imperative that this message was promoted throughout this new website.